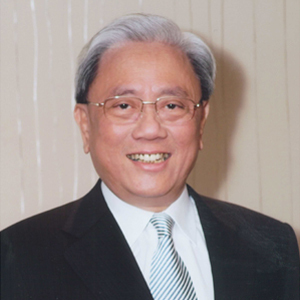 Mr. James Lu served as the Executive Director of Hong Kong Hotels Association in 1997-2017 and before that, he was for 10 years the Deputy Executive Director of Hong Kong Tourist Association, renamed Hong Kong Tourism Board in year 2000. Mr. Lu holds a Bachelor of Commerce degree in Accountancy and qualified as a CPA in Australia. He is also a CPA in Hong Kong. Mr. Lu holds Certificates in Finance and Marketing from The Wharton School, University of Pennsylvania. Mr. Lu served on the University Council of HK Polytechnic University for 6 years and was on the original Steering Committee for the feasibility study of Hotel ICON. As a seasoned speaker and regular Conference host and moderator, Mr. Lu was recommended by the Hong Kong Government to The United Nations in 2002 to host and conduct a Productivity Conference in Singapore for 17 Asia Pacific nations. He also chaired three panel discussions at International Hotel Association annual conferences in Mexico City, Istanbul and Beijing. Mr. Lu was also named one of 6 Master Class Speakers, by The School of Design, Tsinghua University in 2010, to deliver a lecture on “The Functionality of Creative Hotel Designs and its Contribution to Successful Hotel Operation and Customer Satisfaction”. Mr. Lu served as a Guest Lecturer at Cornell University School of Hotel Administration in 1997 and was the Dean’s Distinguished Lecturer at Con ad Hilton College, University of Houston in 1999. Mr. Lu is also Honorary Fellows of The Birmingham College of Food, Tourism and Creative Studies under the University of Birmingham in the United Kingdom and The Vocational Training Council in Hong Kong. Mr. Lu also served as Visiting Professor on the School’s Faculty for the Master of Science degree programme in Hospitality Management in 2006 and he was a Faculty member of the Hong Kong PolyU Winter School. Mr. Lu was also an Adjunct Associate Professor at The Chinese University of Hong Kong, School of Hotel & Tourism Management in early 2000 and he was a member of the School’s Advisory Committee.